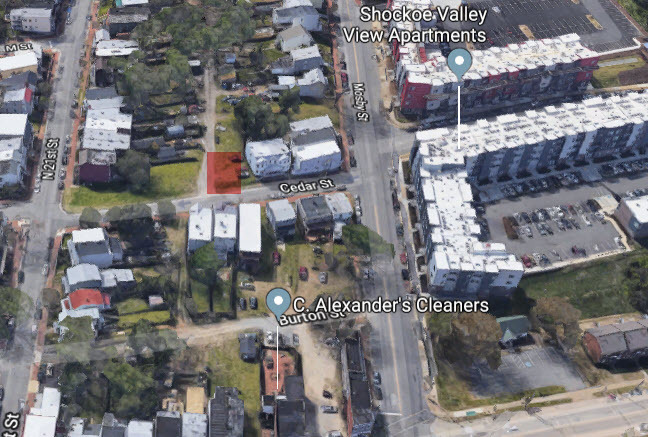 A few local projects are being considered for the December 18, 2018, meeting of the City of Richmond Commission of Architectural Review. The application materials for the agenda items will be available at the link below by this Friday, December 7th. Staff reports will be available on Friday, December 14th. 2007 Cedar Street – Construction of a new multi-family residence. 2217-2219 Cedar Street – Construction of two attached single-family homes. 2800 East Leigh Street – Construction of a rear addition, enclose existing porches, install new windows and railing. 305 North 30th Street – Construction of first floor rear deck and single car garage, replace vinyl siding on rear. 706 North 21st Street – Construction of a second-story rear addition and a single car garage. 206 North 32nd Street – Renovation and addition to a two-story existing addition. 3312 East Broad Street – Construction of a rear addition and deck. Holy moly. Anyone look at the 2007 Cedar proposal yet? 9 apartments, 3 stories, zero parking. I am not an expert on zoning but pretty sure you can only do 3 apartments zero and need a parking space for each one. There are no 3 story buildings on that block or anywhere close (other than the big apartment monstrosity across Mosby st). Way to ruin Union Hill! !